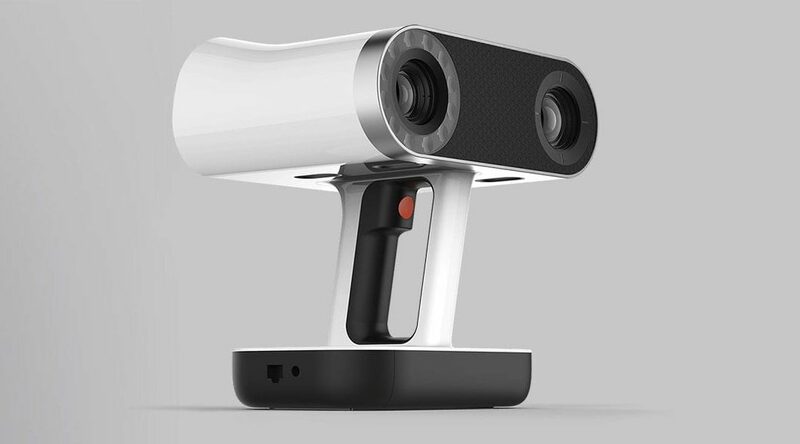 Artec 3D, manufacturer of 3D hardware and software, launched Artec Leo, a handheld 3D Scanner in 2017. Artec Leo is a one-of-a-kind smart device and one of the fastest handheld scanners in the world, it is truly an innovative piece of tech. The device can capture up to 80 frames per second (FPS) and is being dubbed an industry milestone. Artec has successfully created a 3D scanner that can both collect and process data without the need to connect it to an external device. The Artec Leo handheld 3D scanner autonomously processes large amounts of data onto the device and requires minimal knowledge and experience to master! This ergonomically designed 3D scanner not only has a built-in battery pack, but has a new and improved more balanced design that allows for ease of access to hard to reach locations and wireless operation. It is clear to see that Artec is intent on creating tech that can keep up with today’s industries whilst being as easy and accessible as any other video shooting equipment. 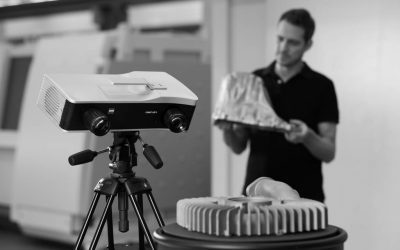 Whilst previous models have struggled to capture large scenes, the Artec Leo has a much larger field of view with a 3D reconstruction rate of 80 FPS making scanning large objects and areas easier than ever before. Equally, users now have the ability to use the scanner to capture close up and more intricate details within an extremely high 3D point accuracy of 0.1 mm. Whether you are looking to digitize a large scene or a smaller, more detailed area, the Artec Leo is perfect. The Artec Leo is undoubtedly the most innovative and powerful 3D scanner currently on the market. With its capability of capturing and processing up to 256 GB of captured 3D data on its SSD drive and its custom ergonomic design it is not difficult to see why this machine is dominating the market. The scanner is equipped with a 9 degrees of freedom (DoF) inertial system which allows the device to seamlessly understand the subtle differences between the scanned object, its position, environment, the surface it is on and the surrounding walls. By autonomously inputting all this data, the scanner is quickly able to erase any unwanted data and digitise only what was intended. Texture mapping has also been greatly improved by the state-of-the-art two in one optics system fitted with a combined 3D camera and colour camera. The Artec Leo is now able to achieve never before seen textures with improved accuracy at a resolution of 2.3 megapixels! The scanner also employs the use of disruptive VCSEL light source technology to perfectly capture objects in bright lighting, particularly outdoors- something other 3D scanners have always struggled with. Without question, the Artec Leo handheld 3d scanner has revolutionised 3D scanning and has redefined the boundaries within visual and AI computing. In a simple and lightweight handheld device each user holds the ability to 3D capture any scene or object they wish. For more information about purchasing the Artec Leo, you can contact Central Scanning Ltd, the official reseller of Artec 3D products and also learn how this scanner can be utilised in your business.